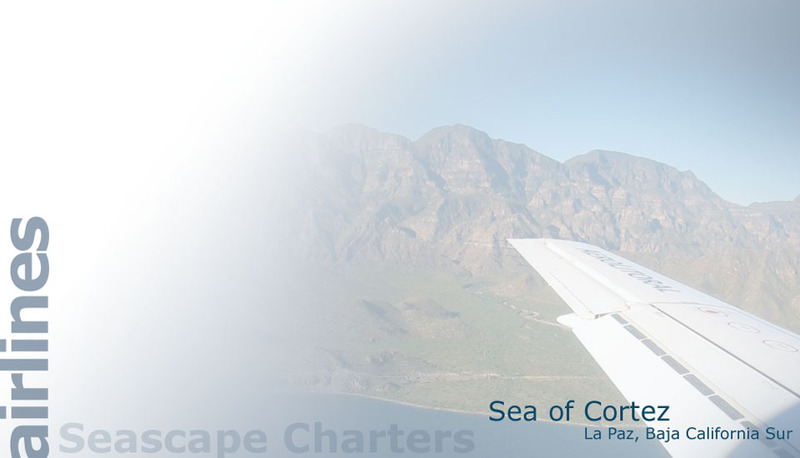 Since most of our charters fly into La Paz or San Jose del Cabo, were providing the following information to help you. There are many changes in carriers and scheduling for airlines flying into the two airports that serve the state of Baja California Surespecially La Pazso please use this only as a guide. AeroMexico flies Mexico D.F. (MEX) to La Paz (LAP). Alaska Air flies Los Angeles (LAX) to LAP. Viva Aerobus flies Guadalajara (GDL) to LAP. Volaris flies from LAX, Las Vegas (LAS) or Chicago (MDW) to GDL, then on to LAP. Most of our charters choose to fly into the La Paz airport because of Horizon (Alaska Airlines). Its direct flight leaves LA at 10:50 a.m. and arrives in La Paz at 2:05 p.m. There is a one hour time change. We will meet you at the airport at no charge. Horizon flies Bombardier CRJ jets which seat 70 passengers. La Paz at 4:05 p.m. Return flight 581 from La Paz to TJ leaves at 10:50 a.m. and arrives at 11:56 a.m. Call toll free : 1-866-988-3527. Prices vary due to baggage and whether youre allowed to change the date of your tickets. Their Airbus A320 are on average 3 years of age.